*	This will hide the Divi "Project" post type. *	Thanks to georgiee (https://gist.github.com/EngageWP/062edef103469b1177bc#gistcomment-1801080) for his improved solution. Thank you, big help. Clients get confused with "projects" and "products" especially when you're trying to train in WP for the first time. into functions.php but it doesn't work, the Projects post type still show in my admin dashboard. Any solutions? I use Divi Version: 2.5.3. The absolute lack of documentation along with some of the mandatory stuff like the Projects custom type for Divi Builder is absurd. If you're reading this it wouldn't hurt to take some time to visit the ET website and add your voice to those asking for docs and adjustments to the plugin. thanks for the public=> false idea. I struggled to remove that CPT as I want my very own Projects Type. (1) YES. Never ever disable the internal Project post type of Divi. You will run into problems with their cached templates - or in other words problems hard to reproduce for many people. 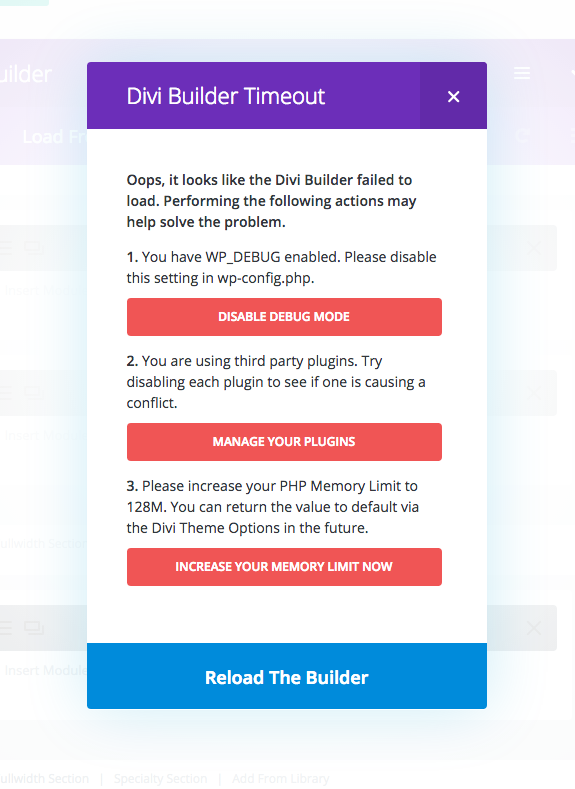 For example you might get a modal window Divi Builder Timeout together with some failed ajax requests in your console - if you have php's notice log level enabled. //hide - not removing - the internal prohect post type. If no value is specified for exclude_from_search, publicly_queryable, show_in_nav_menus, or show_ui, they inherit their values from public.